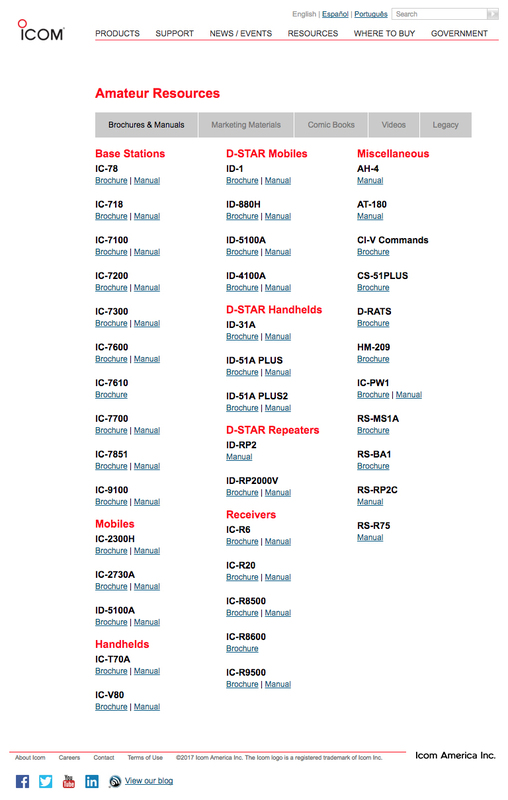 Icom is a manufacturer and distributor of two-way radios that serves several markets, including Amateur Radio Operators, Avionics, Land Mobile and Marine. Accompanying our nearly one hundred products are marketing and support materials, which include product brochures, instruction manuals and comparison charts among others. One of the challenges when supporting a product range as broad as Icom’s is the management and distribution of literature in both print and digital formats. 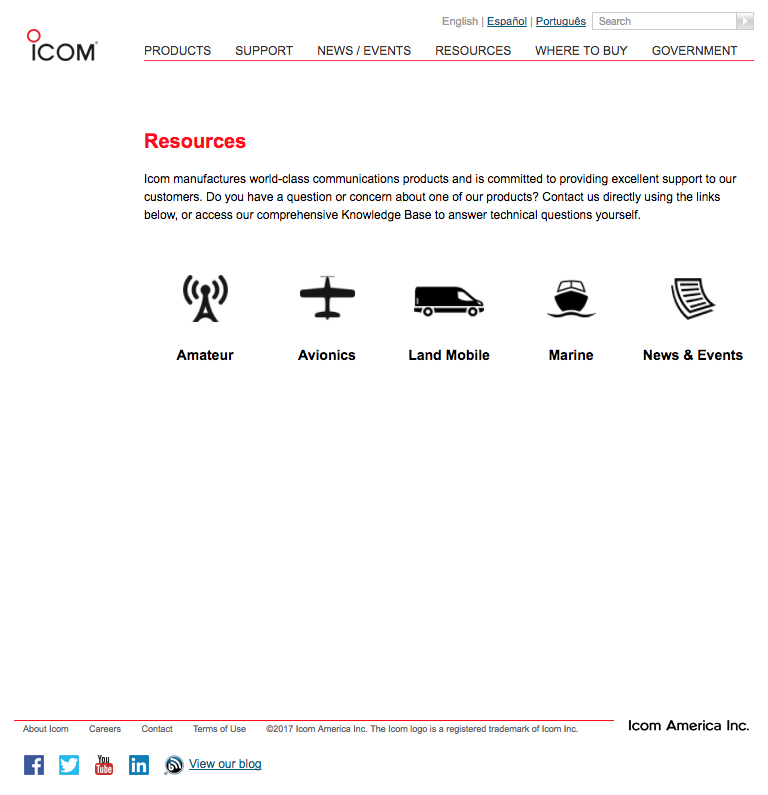 To meet this challenge in 2005, Icom’s website launched with a database driven Resources section. 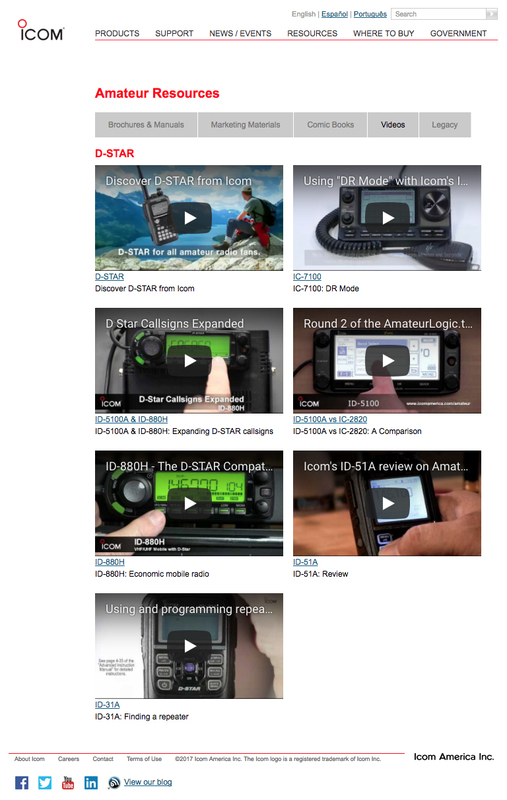 As Icom’s product line grew, it became more challenging for users to locate product documentation. To solve this problem, we re-designed the Resources section using strong iconography and clear callouts that guide users through each of our divisions. Within each division is a tabbed navigation system designed to present product related literature in a user-friendly format. 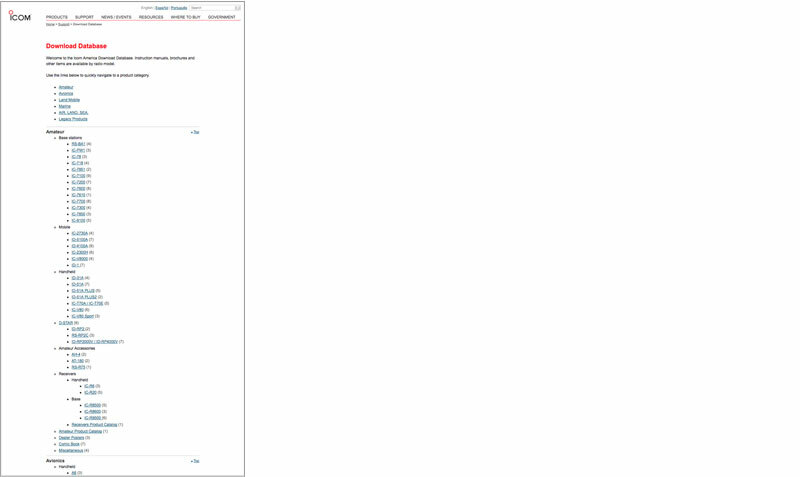 The re-designed Resources section is yet to be deployed to our production server. Upon launch, website analytics will be closely monitored to gauge the effectiveness of the re-design and determine next steps in improving this area of the site. My role in this project included information architecture, wireframing, UI design and front-end development. 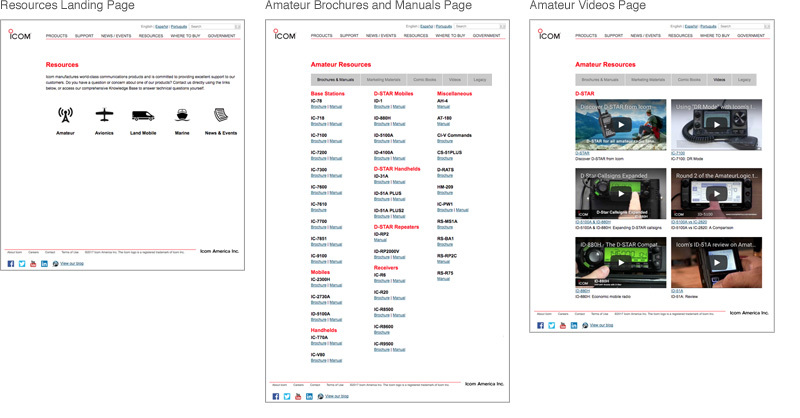 Below are selected screenshots of the Resources section before and after the re-design.